In this article we show you how to add items to your personal favlist. 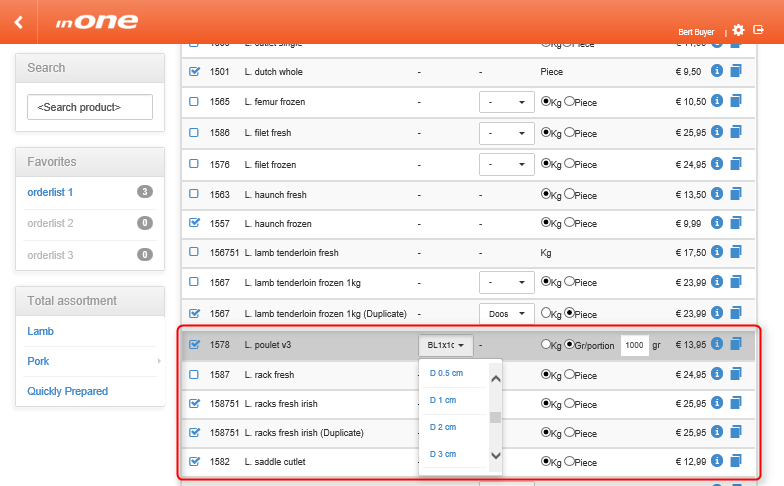 First select the list you would like to manage by clicking it. Listed on the right side are items currently on that list. Find the item you are looking for by filling in (part of) the name or number. The results are show on the right. The item of choice is highlighted within the search results. Set product preferences, unit type and weight. 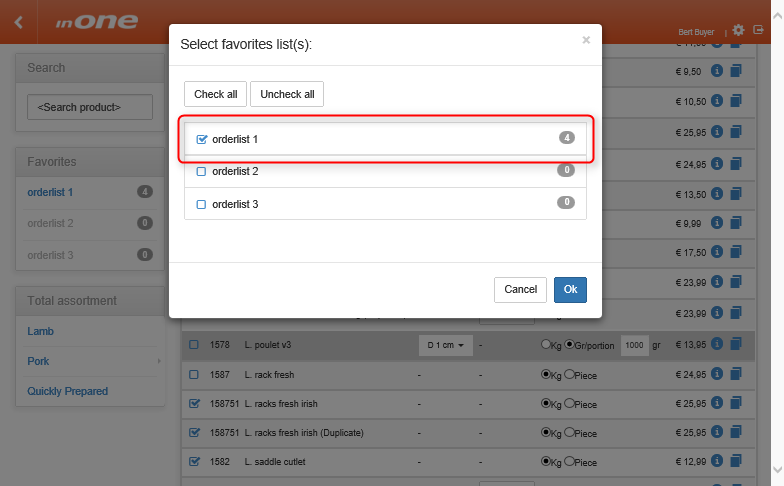 After setting the preferences tick the checkbox to add the item to a list. 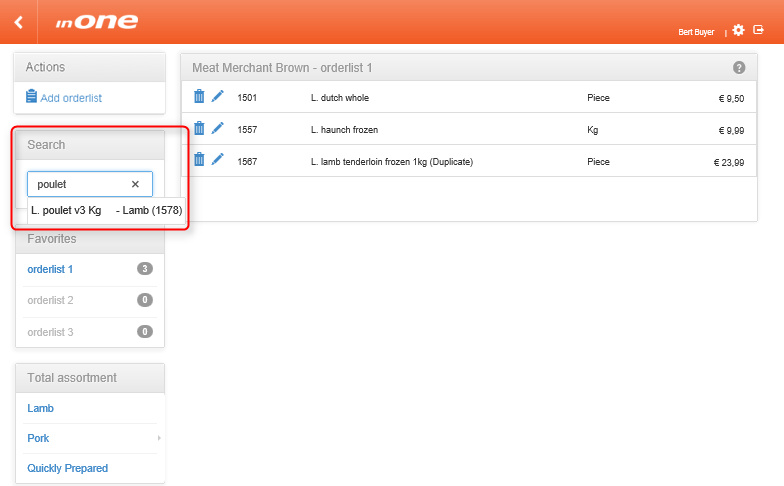 Tick all boxes to add the items to all lists, or simply click 'Check all'.